OROS Blog, Measuring Noise and Vibration: Bosch Thermotechnology installs a new test setup for Sound Power Measurements of floor-standing heating boilers based on the OROS solution. Bosch Thermotechnology installs a new test setup for Sound Power Measurements of floor-standing heating boilers based on the OROS solution. Bosch Thermotechnology offers its customers throughout the world solutions for their room climate, hot water and decentralized energy management. Lowering the sound emission of these products is very important nowadays for the quality perception of the product. For that purpose, Sound Power is the right quantity. Achieving repetitive and comparable sound power determination of heating boilers is key. For that reason Bosch Thermotechnology has installed a new test set-up to carry efficients tests following ISO 3744: the measurement needs to be repetitive, accurate, with a user friendly and dedicated interface adapted to production requirements. So, it allows the operator to proceed easily until the automatic report and check automatically if the standard requirements are fulfilled. 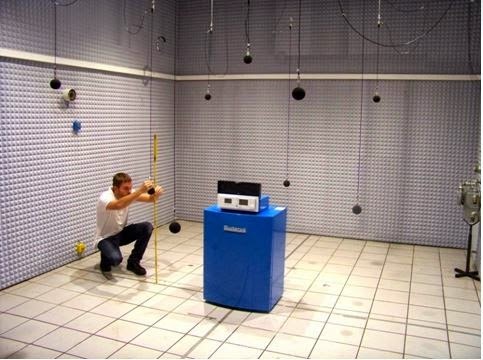 The test bench, fully provided by OROS includes the Sound Power Solution software, a 16 channels OR36 instrument, able to capture all microphone measurements simultaneously as well as microphones themselves. You an also read the full Application Note on myOROS (be first logged).